Discover the beauty and history of the Canadian wilderness on this breathtaking trip. Lunch served in the dining car on the Agawa Canyon Train Tour on the return trip. Through the large windows of their newly refurbished coaches, the beauty of the region will unfold and you will experience the same rugged landscapes that inspired the Group of Seven to create some of Canada's most notable landscape art. As the train winds its way through this immense land, a GPS triggered commentary, available in five languages, will tell you about upcoming points of interest and share some of the rich history of the region with stories of the Ojibway, fur traders, explorers, and entrepreneurs that pioneered this vast wilderness and called it home. As well, locomotive mounted digital cameras will provide an 'engineer's eye view' on the flat screen monitors installed throughout the coaches. Just when you thought you've experienced it all, the train will begin its descent into the canyon at Mile 102 and as the rail line hugs the top of the canyon wall you will travel down 500 feet over the next 10 miles to the floor of the Agawa Canyon, created over 1.2 billion years ago by faulting and widened and reshaped by the last ice-age that retreated 10,000 years ago. As the train pulls to a stop at Mile 114, you'll have an hour and a half to experience the pristine beauty of Canyon Park up close. The whole family can enjoy scenic walks on gravelled trails leading to several waterfalls or experience an invigorating climb up over 300 stairs to the breathtaking Lookout, perched 250 feet above the canyon floor. For those who are looking for something a little more relaxing, enjoy a peaceful lunch in the many picnic areas throughout the park or just pull up a bench and watch the Agawa River flow peacefully by. Though well maintained, this is a wilderness park setting and we recommend seasonal recreational clothing and footwear. There's also plenty to photograph during your excursion so be sure to pack your camera. The Soo Locks has been referred to as one of the great wonders of the world and is still the largest waterway traffic system on earth. Enjoy a 2 hour narrated excursion that will take you through the locks right alongside the big ships. 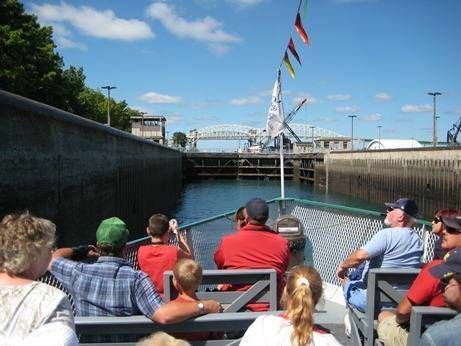 Your boat will ride the water as it is raised 21 feet straight up, to the level of Lake Superior showing you all the sights, the majesty and the excitement of Michigan's oldest city, Sault Ste. Marie. The boat is fully handicap accessible. Smoking is allowed on the outside upper deck. Tours run rain or shine. All vessels have enclosed, climate controlled lower decks with restrooms, snack bars, and covered open upper decks. Enjoy a Lunch Cruise aboard the Detroit Princess Riverboat! Includes Live Motown entertainment while cruising the Detroit River from Hart Plaza, upriver along Belle Isle, downriver to the Ambassador Bridge then back to the dock. Experience the story of the Ford family in this historic mansion, rich with art and antiques spanning the centuries. 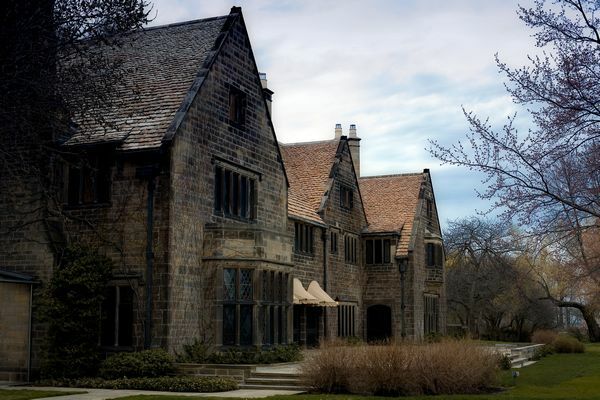 Situated along Lake St. Clair, the estate stands amid 87 acres of beautifully landscaped gardens and grounds. Highlights include visiting the enchanting playhouse and viewing Mr. and Mrs. Ford's personal cars. Welcome to Mackinaw Crossings, a charming village where unique shopping, unforgettable dining and first class entertainment come together! Your adventure in shopping begins the moment you set foot on the cobblestone pathways. Enjoy the quaint Victorian-style architecture, complete with sparkling fountains and outdoor dining opportunities. Explore the more than 45 exciting shops including 8 eateries! The hotel features an indoor pool, hot tub, and Fitness Center. The hotel is not full service, however a complimentary hot Breakfast Buffet is served daily. There are also several restaurants close to the hotel as well as Rubin's Family Restaurant. Guestrooms include refrigerator, microwave, coffee maker, iron/board, and hair dryer. The hotel has 3 floors w/elevator access. Hotel has smoking and non-smoking rooms. One room has a roll in shower and it is a suite with one king bed and a pull out sofa. Handicap rooms have 2 beds and shower bench with grab bars. The hotel features an indoor pool, whirlpool, and Fitness Center. Full Hot Breakfast is served daily. Enjoy the 5:30pm - 7pm Kickback with complimentary hot food and cold beverages. There are 2 restaurants adjacent to the hotel and several within 1/4 mile. Guestrooms include microwave, refrigerator, iron/board, hair dryer, and coffee maker. The Delta Hotel Sault Ste. Marie is conveniently located across from the Algoma Central Railroad. The hotel features an indoor pool, Fitness Center, whirlpool, full service restaurant, and lounge. It also features an outdoor patio bar and grill located on the waterfront. Guest rooms feature coffee maker, hair dryer, and iron/board. Situated in front of the hotel is the Waterfront Boardwalk that provides access to the Casino Sault Ste. Marie. Rollaways are available for a $15 charge. Refrigerators may be requested at no charge. The Drury Inn & Suites Frankenmuth, with its Bavarian style architecture, makes an ideal place to stay. Each guest room includes a hair dryer, iron/board, coffee maker, microwave, and refrigerator. The hotel also has an indoor pool and whirlpool. The Drury Inn is conveniently located near restaurants and shopping. -This trip has expanded leg room for your comfort. We strongly recommend that your passport be valid for six (6) months beyond the completion of your trip. 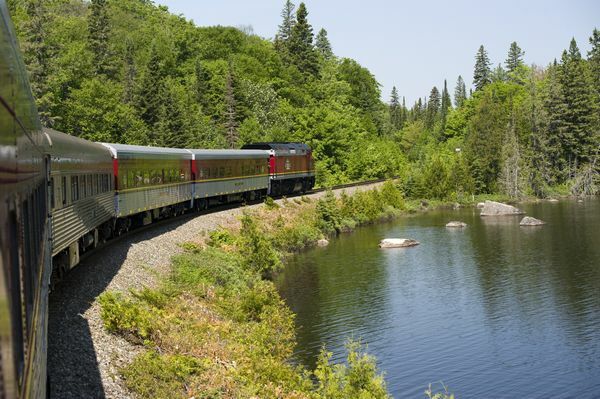 Agawa Canyon Train Tour - Wear comfortable clothing and footwear. Bring insect repellent & sunscreen, camera and plenty of film. 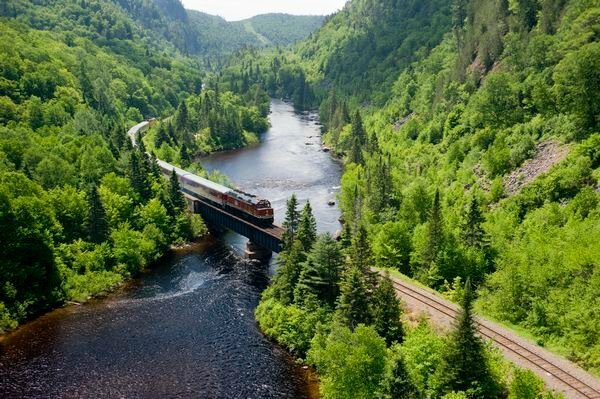 -Agawa Canyon Train Tour - One train car is wheelchair accessible, but measurements of the chair cannot be wider than 26" from wheelbase to wheelbase. If not confined to a chair there are lifts available to get into the train car. Starr Transit Co. Inc. cannot accept liability for any passenger refused entry into any country due to failure of the passenger to prepare and carry correct documentation.